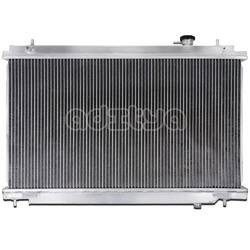 We at ADITYA ENTERPRISE have a wide range of Combi Cooler / After Cooler / Oil Cooler / Compressor Cooler for ROTARY SCREW COMPRESSORS. 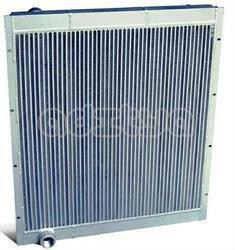 Owing to their remarkable quality, the offered cooler is widely demanded in the market. 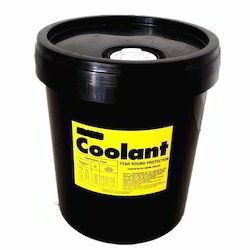 This cooler is designed and manufactured by our deft professionals using finest quality raw material and latest technology. Moreover, we test that entire range on different parameters to make a flawless dispatch from our end. 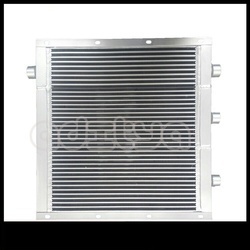 Combi Cooler (after Cooler Oil Cooler). 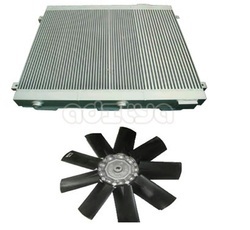 100% Compatible Coolers For Kaeser, Atlas Copco, Ingersoll Rand, Elgi, Chicago Pneumatic etc. make Rotary Screw Compressors. We supply 100% Replacement Screw Compressor Cooler / Rotary Compressor Cooler for all leading Screw compressor manufacturers. 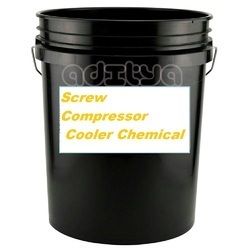 We supply the replacement Air Cooler , Oil cooler and Combi cooler or Split coolers for all major brand screw compressors, such as Atlas copco, Kaeser,ELGI, Ingersoll Rand, Chicago Pneumatic, Sullair, Venus, Deep Pneumatic etc.. We also provide the customized Screw compressor coolers as per Sample / Drawing. We supply shell & tube type as well as radiator type air coolers, oil coolers, combi coolers for all major brand air compressors like kaeser, atlas copco, elgi, ingersoll rand, cp etc at OEM Quality & very much competitive prices. We offer 100% Compatible / Replacement / Interchangeable air Screw compressor Radiators. Air Compressor Model GA,GX, E11 TO E75, ML,MM,UP,XF, CPA TO CPD, ASK TO DSD etc..
M.O.C. Aluminium alloy and M.S. 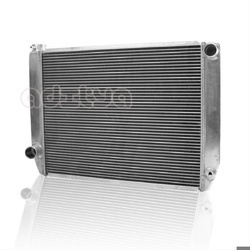 Air oil & combi cooler offered come in precision construction finish and find suitability in meeting the handling requirements of lubrication, quenching oils, heat transfer fluids and others. 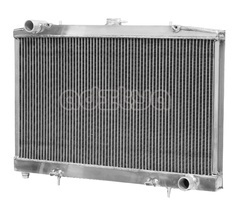 Dimension (Centimetre) 24" x 12"
We provide very much Efficient CHEMICALS to clean Radiator / compressor cooler / Combi cooler internally. They very much efficient to remove the dirt and impurities, stucked on tubes of cooler. MOC Aluminium alloy and M.S. 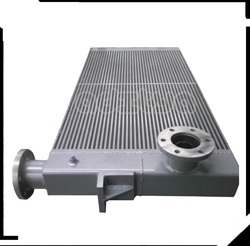 100% Replacement and Compatible Oil cooler, Air Cooler and combi coolers are available with us suitable for Venus Screw compressors at very much competitive price. 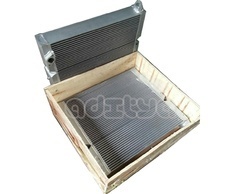 We Offer A Variety Of Oil / Air Radiators Which Are Mostly Of Finned Tube Type. The Heating Media Invariably Be Either Hot Flue Gases We Design Air Heaters To Heat From Ambient To As High As @200° C Or More. The Capacity Ranges From 1000 Kcal/hr To 1,000,000 Kcal/hr. Air Compressor Model E11/E75,CPA/CPD,30/40/50,GA/GX etc.. Quantity Per Pack 10 LTRS. 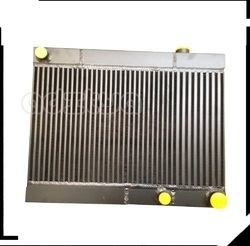 We provides RADIATOR CLEANER chemicals to clean Radiator / compressor cooler / combi cooler internally. This Cleaners / Chemicals are very much effective and removes 99% impurities from the internal surfaces of Cooler / Radiators. 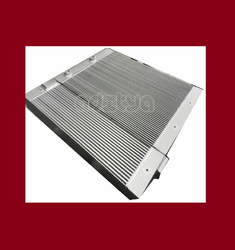 Under precious guidance of our skilled professionals, we are engaged in offering a wide range of air cooled aluminum after coolers. 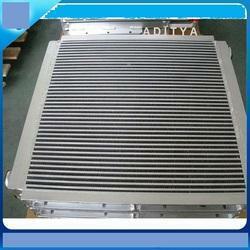 Owing to their remarkable quality, the offered cooler is widely demanded in the market. This cooler is designed and manufactured by our deft professionals using finest quality raw material and latest technology. Moreover, we test that entire range on different parameters to make a flawless dispatch from our end.